One thing’s for certain about the year that’s just passed: it offered about as much certainty as a Ryanair flight schedule. There was no certainty for Theresa May’s Conservative Party, with its bungled general election campaign, which, in future, could serve as a warning from history of what befalls a brand that becomes out of touch with its market. None for election-weary consumers who, in the aftermath of the polarising Brexit vote, wondered what the future held for them. Hardly surprising when Britain’s divorce negotiations look set to drag on interminably, with negotiators in Brussels being seen as, at best, intransigent, or, at worst, vengeful and bloody-minded. And none for UK companies, pretty much "remainers" to a man (and woman) and now fretting over their future relationship with the European Union. As a result, marketing budgets were heavily squeezed, pushing the IPA’s quarterly Bellwether Report in October to its lowest reading since the start of 2016. Meanwhile, a survey of senior executives at brands, agencies and media owners suggested confidence about the future prospects of their companies had plunged to a four-year low. 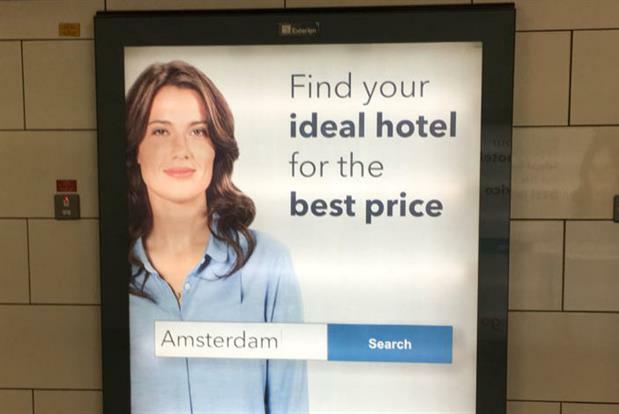 The only certainty – for London commuters at least – seemed to be the sight of the Trivago woman, staring impassively from every other poster site on the capital’s Underground network. But let’s start with what happened to the Prime Minister, whose squandering of a workable Commons majority in an effort to win an even bigger one (and who is now reduced to soldiering on with the help of the Democratic Unionist Party) offers important lessons for any brand operating in today’s uncertain climate. Brands, like governments, are in peril when they isolate themselves from the thoughts and feelings of those sustaining them and don’t heed warnings about taking needless risks. May’s campaign certainly had echoes of what happened to the Pepsi marketers, whose crass commercial starring Kendall Jenner presenting cans of fizzy drink as a panacea for world peace provoked mockery and outrage. Did neither Pepsi nor May’s people hear the inner voices asking whether what they were doing was right? Could nobody foresee the car crash? Above all, the May camp might have asked what its brand was doing about championing a hopeful and aspirational future. Labour’s Jeremy Corbyn did just that. And he provided further proof – if any was needed – of what a persuasive force social media can be, flooding it with advertising that galvanised supposedly apathetic young people who hated austerity and Brexit in equal measure. What’s more, the climate of uncertainty that prevailed during the year could breed the kind of legislative stagnation that will vex the communication industries. While former Chancellor and now editor of the London Evening Standard George Osborne may be enjoying May’s woes, few will be cheered by the prospect of a battered Tory administration that will find it impossible to deliver on any detailed plans for media regulation, data protection, digital and intellectual property that featured in its manifesto. Against such a backdrop, it was hardly surprising that advertisers everywhere were probing and questioning everything in their quest for more certainty. For FMCG stalwarts such as Unilever and Procter & Gamble this trend manifested itself in moves to boost their direct-to-consumer offerings, giving them vital data on consumers’ buying habits. But companies of all kinds were making agencies and media owners increasingly aware that, because it was their money paying the piper, they would be the ones calling the tune. In the search for the biggest bang for their advertising buck, campaigns were tested almost to destruction. Today, it’s almost impossible to believe that in the devil-may-care 1970s, Whitbread’s then marketing chief, the late Anthony Simonds-Gooding (who died in October), was allowed to follow his gut instinct and approve Heineken’s groundbreaking "refreshes the parts" campaign when all the research suggested it would fail. In these more buttoned-down days, brands want certainty through more accountability; they don’t trust what they can’t see and can’t measure. The conflict in the US between advertisers and their agencies over media transparency remained a running sore in 2017. While in the UK, an ISBA-sponsored survey among its members found transparency was the biggest issue among 47% of those questioned. The result of all this has been to pile the pressure on media groups, which reported slower global growth during the year, as big advertisers cut spend in the face of digital disruption and greater demands for transparency. Some see a link between internal consolidation within these groups and reduced autonomy for some bosses, as well as a slew of high-level departures. Tracy de Groose quit as UK and Ireland chief executive of Dentsu Aegis Network after almost four years; Paul Frampton resigned as chief executive of Havas Media Group after under two years; and Amanda Morrissey moved from being UK chief executive of Publicis Media after just 18 months to a global strategy role at Publicis Spine. Among the leading voices calling for change, none was more powerful than that of Marc Pritchard. After his seminal address on transparency in January to the US Interactive Advertising Bureau, a month later P&G’s chief brand officer called a review of all agency contracts in the light of the debate about rebates. Moreover, at a time when the £72bn spent globally on digital advertising exceeded the amount going into TV, Pritchard epitomised the far more robust approach being taken by advertisers toward a medium where measurement methods are unreliable, giving fraudsters a field day. Some advertiser disenchantment with digital also crept in. In March, Coca-Cola ditched its weekly UK YouTube shows in favour of a more "nimble" digital content strategy. This followed McDonald’s earlier decision to axe its youth-focused YouTube campaign, which failed to generate enough interest. As Pritchard bluntly declared: "The days of giving digital a pass are over. It’s time to grow up." His words were symbolic of a greater determination by brands not to have the wool pulled over their eyes. In March, Marks & Spencer, Sainsbury’s and RBS, along with Havas, withdrew their ads from Google and its YouTube platform in the wake of a Times investigation claiming that extremists had made an estimated £250,000 from ads for UK brands running alongside their content. In September, Dentsu Aegis-owned Fetch Media attracted some unwelcome attention when it faced a lawsuit from Uber, alleging breach of contract, fraud and negligence. Uber – suffering its most challenging year to date as it lost its chief executive Travis Kalanick and failed to have its licence to operate renewed by Transport for London – claimed Fetch had allowed ads on websites it wanted nothing to do with and fraudulently claimed credit for app downloads that happened without a customer ever clicking on an ad. Fetch responded, claiming the suit was "unsubstantiated" and an attempt to draw attention from a "failure to pay bills". The reality check by advertisers paid dividends. Google – faced with the threat that the mass boycotts of YouTube by UK advertisers, who were fearful of being associated with hateful and offensive content, would spread to the US – promised to get the problem under control. But if it proved to be Google’s ill wind, it blew some good to Channel 4, ITV and Sky, which all posted a jump in ad revenues for their video-on-demand platforms on the back of the YouTube boycott. Facebook also saw the way the wind was blowing, committing itself to being audited by the Media Rating Council so that it could increase transparency. It all went to show what companies could achieve by throwing their weight around. Although, arguably, this was, at least in part, forced on them by consumers demanding that they be better corporate citizens. As a result, the momentum to "do the right thing" went into overdrive. Who would have expected major brands to openly defy a US president – albeit one as morally skewed as Donald Trump – after his efforts to restrict entry to the US by people from certain Muslim countries? At the same time, 2017 showed big data’s effect on companies’ greater determination to be masters of their own destiny. While a survey published in June by ISBA and media consultancy MediaSense revealed no inclination by UK marketers to follow their US counterparts in bringing more creative and media in-house, data is a different kettle of fish. Brands now want to "own" the customer relationship, meaning they are not eager to hand over large amounts of prized statistical information for outside specialists to manage. The emerging trend marked a further shift in a long-standing symmetrical balance of power between clients, the paymasters able to approve or reject the creative and media plans presented to them; and the agencies hired to sprinkle the magic dust that clients are usually incapable of creating. This partnership isn’t perfect. Why didn’t McDonald’s anticipate the consumer backlash against a Leo Burnett commercial showing a boy asking his mother about his dead father, which was withdrawn amid charges of cynical exploitation of a deeply emotional situation? And should somebody have seen the potential for mischief-making in Ogilvy & Mather’s Dove ad, which was meant to be a celebration of women from all over the world? It backfired badly when a short edit showing a black woman apparently turning white appeared on social media. Dove’s owner, Unilever, quickly apologised amid charges of racism. This was trumped by Pepsi’s Kendall Jenner howler, the year’s worst example of what can happen when clients opt for DIY creativity. Not surprisingly, it prompted loud cries of "Told you so" from adland when it emerged that the ad was devised not by BBDO, Pepsi’s lead creative agency, but the in-house studio into which PepsiCo had diverted a significant proportion of its content creation. These, though, seemed like Pyrrhic victories for agencies at a time when the pressure on margins – and its repercussions for staff – was no less relentless. For the evidence, one need have looked no further than Nabs. During the first half of the year, the industry charity reported that emotional support was now the main reason people contacted its advice line. More than a quarter of the 1,400 calls it took during that time concerned mental health, anxiety and depression. To make matters worse, brands further demonstrated that they were exerting greater pull than agencies in the talent tug-of-war. Not only were they profiting from the disenchantment, low morale and poor pay in the agency sector, but they were starting to offer real challenges to bright young millennials wanting to be involved in the whole customer journey, rather than just a part of it. It wasn’t only digital specialists taking the client shilling. Copywriters, designers, media people and programmatic experts were also being hunted – and successfully so, it would seem. One piece of research published during the year showed that 40% of senior brand-side marketers had an agency background. How much all this agency angst affected the UK’s performance at the Cannes Lions is an open question. However, it may be significant that the British haul fell by a fifth in 2017 with 31 fewer trophies being brought home. And what does it say about the agency/client talent war that 4Creative, Channel 4’s in-house division, was the only agency to win a Grand Prix for its "We’re the superhumans" Rio Paralympics campaign, as well as bagging four golds and six silvers? Cannes Lions itself has been feeling the impact of client power in the form of ever-more strident criticism that the influx of marketers and high-tech giants has turned it from a celebration of creativity into a trade fair. A stricter admissions policy for bars and hotels at the 2017 event sparked allegations that organisers were increasingly setting their cap at corporate high-rollers. Arthur Sadoun, who took over as Publicis Groupe chief executive from his mentor Maurice Lévy during the year, underlined his self-confessed impatience when things don’t happen fast enough, by pulling its agencies out of next year’s festival. For Sir Martin Sorrell’s WPP, the world’s largest holding group, the "jury is out" over its future participation. The company is known to regard sister event Eurobest as an "expensive distraction" and wants to see Cannes Lions streamlined and shortened to cut costs. Ascential, the Cannes Lions owner, responded with a curtailed five-day festival, a restructured awards programme and a pledge to bring creative advertising and brand-led communications to the forefront of an event some believe to be dominated by cynical, cause-related marketing. Publicis has stated its intention to return in 2019. WPP, by comparison, is yet to throw its weight behind the reforms. Festival organisers have had it in the neck from senior marketers, too. Jonathan Mildenhall, Airbnb’s former chief marketing officer, and president of the Creative Effectiveness Lions jury for 2017, chided organisers when initially it looked like there were just three non-white people in the 102 speakers lined up for the event. "I’m confused," he tweeted. "Are we a GLOBAL festival of creativity?" Cannes Lions was not alone in being vulnerable to such criticism. Research from Campaign and the IPA revealed that, far from increasing, the number of people working in IPA member agencies who have a black, Asian or minority ethnic background had declined over the previous two years. Indeed, the whole diversity issue continues to touch raw nerves, as Google engineer James Damore found to his cost with a provocative memo that quickly lost him his job. Justin Tindall, M&C Saatchi’s group chief creative officer, clung on to his, despite an incendiary Campaign Private View column in which he declared himself "bored of diversity being prioritised over talent". The intensity of the return fire forced him into a foxhole from which he later issued an apology. As far as adland’s commitment to diversity is concerned, the numbers suggest there is still too much talking the talk and not enough walking the walk. Perhaps it was a case of the diversity issue being lost among more preoccupying issues, such as the way the marcoms industry is consolidating and restructuring itself during relentlessly challenging times. Rupert Murdoch’s family continues to empire-build, although its proposed £11.7bn takeover of Sky, which would give it a bigger reach than any news provider apart from the BBC, faces ongoing strong scrutiny from the Competition and Markets Authority. In November, Sky threatened to shut down the loss-making Sky News to get the deal approved. Meanwhile, Vivendi’s £2bn-plus acquisition of Havas in May led some commentators to predict it will be a precursor to a consulting or an IT giant buying one of the "big six" ad groups within the next five years. Elsewhere, WPP merged MEC and Maxus after both lost big accounts. The new agency, Wavemaker, is billed as a future-facing media, content and tech shop, but it looks like a defensive move. Other efforts to introduce added scale failed to gain traction, however. Most notable was Project Arena, the UK newspaper industry’s attempt to establish a joint ad-sales house. Telegraph Media Group pulled out in July, raising questions about whether the scheme will ever get off the ground, given the egos involved and the need to overcome concerns that it is anti-competitive and an exercise in control of supply. Mega-deals aside, there were others that suggested the need to huddle together for warmth in a bleak climate. Interpublic’s MullenLowe responded to the need for some bulk-buying by swallowing up the independent creative shop 101; Lucky Generals opted to keep the cold out by having Omnicom take a strategic stake in it; Publicis Groupe took its Fallon operation out from under Saatchi & Saatchi’s wing and realigned it with its Leo Burnett subsidiary in the hope of exploiting synergies between the two, and putting new chief executive Gareth Collins in charge of both brands. Sadly, some smaller shops chose to pull down the curtain. Naked London closed after 17 years, when its contract with its last remaining client, Virgin Atlantic, ended in March, while Fabula folded after five years, citing the business pressures of a more project-based environment. Among the agency establishment, though, some significant management issues were resolved. Sadoun lost no time in making his mark at Publicis Groupe by having the Kings reign in London; specifically, Steve King, global chief executive of Publicis Media, who was given responsibility for running the entire UK operation, and Annette King, who quit as chief executive at Ogilvy UK to fill the new position of chief executive at Publicis Groupe UK. Paul Lawson will be hoping the gods smile on his decision to leave Leo Burnett to become chief executive of the rebranded Y&R London, now trying to regain its equilibrium after a tumultuous two years blighted by key account losses. 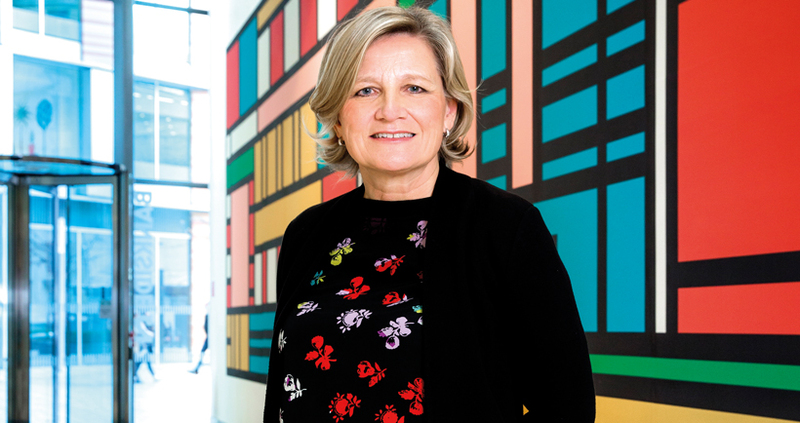 Over at Abbott Mead Vickers BBDO, newly ennobled Cilla Snowball returned to the chief executive role, with a remit to steady the ship, following Ian Pearman’s decision to close a 21-year chapter and book flights to Singapore to run TBWA’s Asian arm. No such worries for the founding shareholders of Adam & Eve. 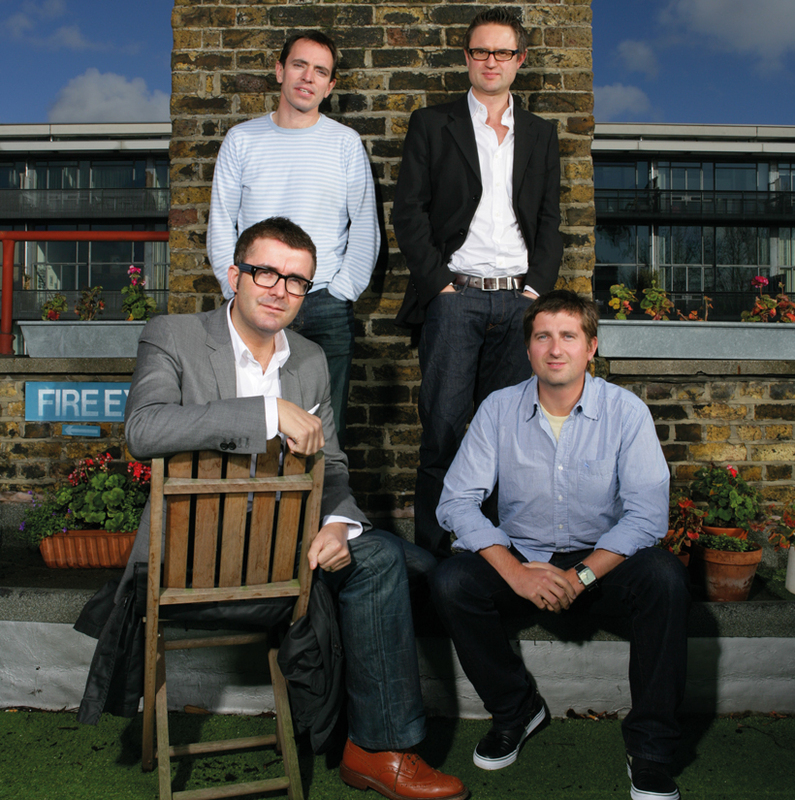 Having smashed financial targets after merging their agency with Omnicom’s DDB London, James Murphy, David Golding, Ben Priest and Jon Forsyth pocketed an estimated £110m on completion of their earnout. Elsewhere, other rewards were reaped. Adam Crozier stepped down as ITV’s chief executive, having received more than £27m in pay, bonuses and incentives. During his seven-year tenure, he successfully reduced the broadcaster’s reliance on ad revenue by building up its production arm and digital income. ITV2 helped buck the wider decline in younger viewers with its smash hit, Love Island – even if the more mature among us complained that the endless "copping off" was plunging reality TV to new depths. What will the incoming chief executive, easyJet boss Carolyn McCall, make of it? Like ITV, Channel 4 also had to seek a new leader after seven years, as chief executive David Abraham departed. Credited with reviving the broadcaster’s fortunes after the loss of Big Brother, he chose to resign amid concern about the not-for-profit broadcaster’s future and its mooted privatisation, which he opposes. As well as plotting a route to sustainable success, new chief executive Alex Mahon must keep one eye on the present, exemplified by Great British Bake Off star Prue Leith’s accidentally tweeting out the name of the winner of this year’s contest hours before broadcast. Now, with 2017 left behind – and as muscle-flexing by brand owners becomes more widespread – where will attention be focused? No doubt much of it will be drawn to Unilever. Not only does the FMCG behemoth have the world’s second-largest ad budget ($8.4bn), but it is under pressure from investors to accelerate growth and boost profit margins after February’s aborted takeover bid by Kraft Heinz, which, in part, prompted its decision to cull half of its global roster of 3,000 agencies. 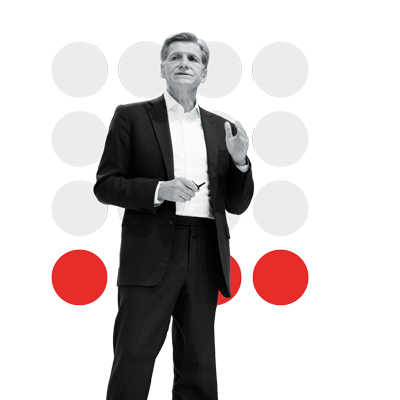 For Keith Weed, Unilever’s chief marketing officer, this meant a shift from the firm’s "Crafting brands for life" policy and – some suggested – a time for less magic, and more logic. Weed took to the stage at Advertising Week New York, in September, to outline his latest plan to deliver growth, the so-called "5C framework" – a pledge to focus marketing on the pillars of consumers, connect, content, community and commerce. Some magic prevailed in 2017. Nike – named Innovative Brand of the Year at Campaign’s New Thinking Awards – drew praise for its Breaking2 initiative, in which it trained three athletes, with the stated aim that they would break the two-hour marathon mark. Despite narrowly missing out on the record, millions watched the live broadcast online of the attempt to break it, and even Nike’s arch-nemesis Adidas tweeted its approval. One challenge that may confront not only major brands and brand owners, such as Nike and Unilever, but also the biggest agency groups in the year to come, is how to counter the threat of cyber attacks. An assault suffered by WPP in June that threatened to bring the company to its knees, and cost it up to £15m, before insurance, may be just a chilling taster of what’s ahead. From Westminster’s corridors to high streets across the country, from company boardrooms to the gatherings around the agency water coolers, the cries for clarity are deafening. There’s little sign 2018 will answer them.